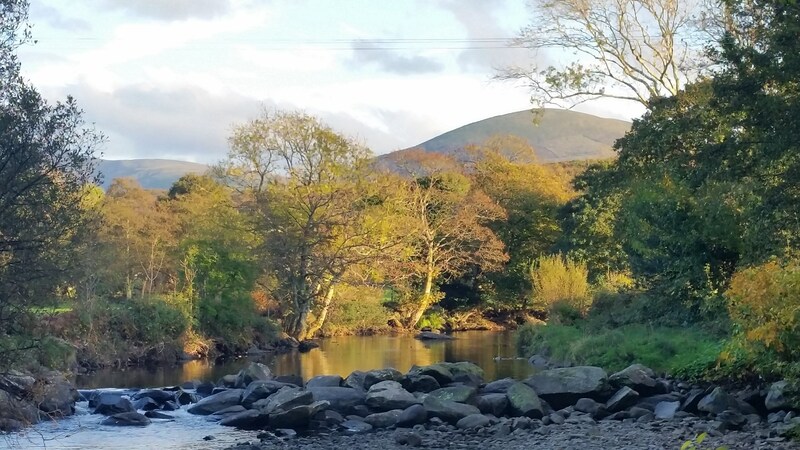 The pretty little village of Llanbedr is nestled along the banks of the River Artro which tumbles its way through the centre of the village and under the stone bridge at its heart, before widening into an attractive estuary as it meets the sea beyond. The village dates back to the Bronze Age and two impressive standing stones can been seen either side of a tree on the edge of the village. The fifteenth century St Peter’s Church, just off the main street, is an attractive little church and worth a visit. Look behind the rear pew where you will find an ancient stone inscribed with a spiral, which was found in the nearby hills two hundred years ago. Llanbedr is a popular stop for walkers and climbers and has two pubs serving meals throughout the day and a couple of grocery shops where you can pick up provisions. There is also Snowdonia Cycles where you can hire bicycles by the day or half-day if you fancy exploring the beautiful local countryside on two wheels. Dyffryn Ardudwy straggles along the A496 road which cuts through the village, it’s a small place with a couple of local shops, a slice of real Wales away from the tourist trail. Dig a little deeper and you’ll find evidence of ancient peoples here. On the eastern edge of the village are two impressive megalithic burial chambers or dolmens which are around 6000 years old. The site, managed by CADW is open daily from 10am-4pm and is just a short walk from the village. There is also a fabulous beach about a mile from the centre of Dyffryn Ardudwy - but be aware – the north end of the beach is Wales’ only official naturist beach. Signs mark the start of the designated area.